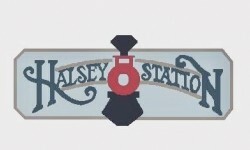 Come home to Halsey Station where comfort and convenience meet amenities and affordability. The Halsey Station Apartments offers you easy freeway access to both I-84 and I-205. All of our spacious 2 bedroom 2 bath apartment homes feature a full-sized washer and dryer, dishwasher, patio or deck and a large master suite with full master bathroom. Our community also boasts a sparkling seasonal pool, garages, courtesy patrol and 24 hour emergency maintenance. Come visit us at the Halsey Station Apartments where our goal is your comfort.